The creator of Channel 4's break-out comedy of the year, Derry Girls, has urged fans to get behind it in the Radio Times Comedy Champion 2018 competition. 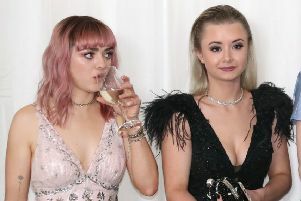 Screenwriter Lisa McGee has urged people to vote early and vote often in the semi-final of the competition in which Derry Girls'is up against The Young Offenders, Peter Foott's acclaimed Cork-based sitcom for RTÉ and BBC. She tweeted: "It’s All-Ireland Semi-final! The Derry Girls V The Cork boys! You can vote more than once. Tense #DerryGirls Radio Times Comedy Champion 2018 - Semi-Final @RadioTimes." Whoever comes out on top will face either Peter Kay’s 'Car Share' or 'Inside No 9' in the battle to be named the Radio Times Comedy Champion of the year.